﻿ Rozwell Kid might finally be able to catch a break now. Even though they’ve been knocking around since 2011 with three full-lengths, numerous splits and a compact fanbase under their belts, that big push to get them over the hill and into more stable territory has yet to arrive. It wouldn’t be too much of a stretch, then, to imagine that Precious Art will be the album to do it. After all, with bands like Pup and The Dirty Nil bringing the punkier blend of Weezer, garage rock and grunge to the masses, Rozwell Kid are in the prime position to capitalise on it. The problem is, with a genre like theirs that’s already packed to the rafters with acts looking to achieve a similar goal, a real breakthrough only comes from either factoring something new into the equation, or being the very best at the already established formula. Judging by Precious Art, Rozwell Kid are hedging their bets on the latter, and really, it would be a lie to say they achieve that. That’s not to say that this album is bad, but if this sort of sound has Weezer at its center, Rozwell Kid are closer than most, and that has both positive and negative effects on the final product. It’s perhaps not as pronounced in the instrumentation, which is very much on the established lines that this sound has stemmed from for a while, and Rozwell Kid really don’t do anything remarkably good or bad here. There are definitely highlights – the brighter, strident melodies of Boomerang make for a more upbeat listen, and the shifting guitars and bass of UHF On DVD add a few more interesting layers – but in tracks like Futon and Gameball that feel ploddy and inert, these are empty calories that could’ve easily been shed. That said, Precious Art really can hold its own sonically on the whole, like the sunny opener Wendy’s Trash Can or the low, rickety acoustic guitar that actually breaks into some fairly complex lines on MadTV, and there’s a smoothness to Jordan Hudkins’ voice that just has enough grit to gel with the ruffled production. No, where Rozwell Kid begin to step into slightly dicey territory is in the songwriting, even though there’s nothing inherently wrong with the direction their going in, channeling the very Rivers Cuomo sensibility of embracing their own awkwardness that gives tracks like UHF On DVD some discernible personality, even if Blow It‘s attempt feels like a broad culmination of every general theme this album has previously delivered. But where Cuomo has become notorious for some questionable lyrics in his time, Rozwell Kid’s decision to stay so close to that influence has a similarly adverse effect. Granted, there aren’t any moments of truly obnoxious, unfiltered streams of consciousness (if you ignore Wish Man), but there are some that could’ve been reworked at the very least; as endearing as the sentiment behind Booger is, the main point of the song still hinges on snot smeared across Hudkins’ phone screen. At the end of the day though, Precious Art feels like a foundational album for Rozwell Kid more than anything, one that lays down the foundation for future releases rather than achieving anything substantial by itself. There’s definitely a few good ideas here, and it’s endearing enough of a listen to leave a positive impact, but it can’t quite reach the true greatness it’s striving for. With this being their fourth album, it would help if Rozwell Kid could rearrange themselves for the best possible outcome sooner rather than later, but the suggestions that that’s on the cards already are all over this album. 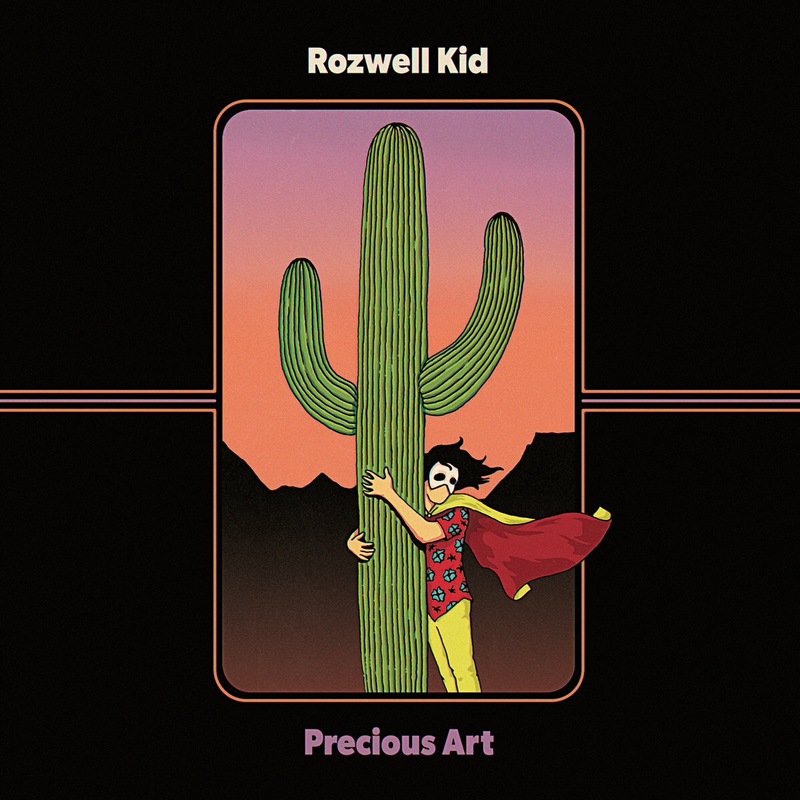 ‘Precious Art’ by Rozwell Kid is released on 23rd June on SideOneDummy Records.